Hello lovelies! ! How are you all? 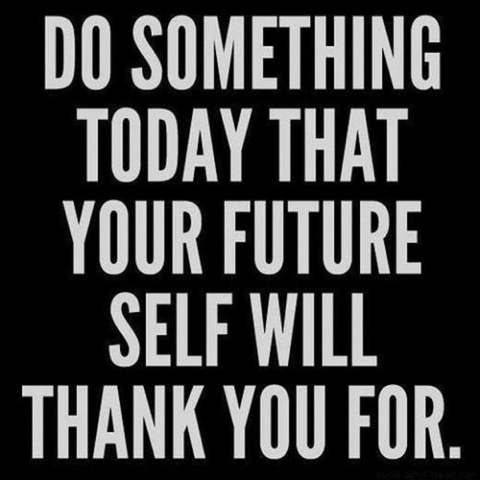 I hope you're having a fantastic day, and if not remember you can change it, by doing the things you love! 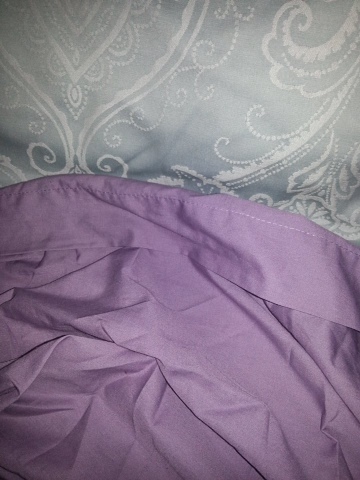 I decided that blog would be a what my typical stay at home Saturday is! Of course not all of my Saturdays are like this, but this was actually a really lovely day. This blog will be going up on Sunday because of course I'll have to edit it! For the past two months I have been picking different quotes each week, to try and help me stay positive and motivated. I put the quote in my school journal just incase it gets a bit too much at times. This is the quote I'm using this week! I woke up at half last eight this morning, yes it is a Saturday. I was shocked, because usually I get up around eleven or twelve. This is so good! 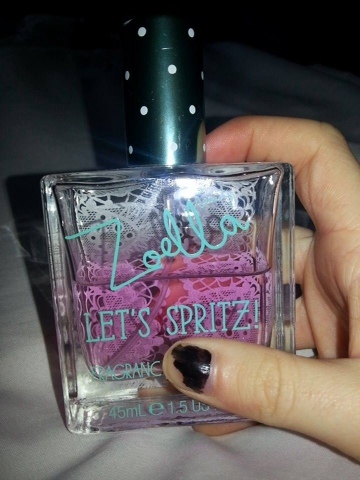 Lasts all day and smells amazing! 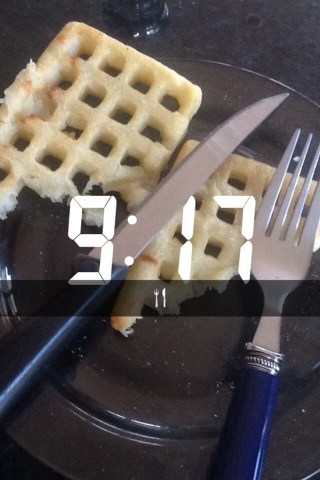 I had waffles for breakfast which of course I don't have everyday! I just thought today I would! Actually in food terms I actually have eaten a lot of unhealthy things today! oh well! With that being said I was so productive which is so weird for me. 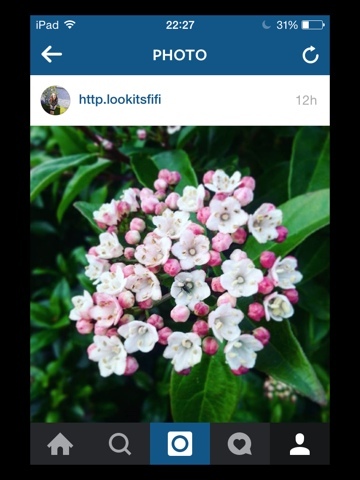 I decided to go for a walk and take a few photos for my instagragm. 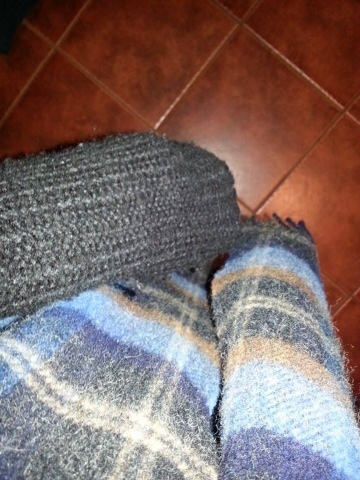 Literally no sooner as I had my scarf, hat & coat on it started to rain. Literally hailstone. Thankfully it stopped after fifteen minutes so I went again. I was really disappointed in my self, I live in a really rural area (the middle of nowhere to be honest) and amn't used of that many cars passing. And I was wearing a old track suit pants, a coat and a beanie and I got really self conscious and anxious, and when I saw the two cars I got really anxious. I didn't want them to see me, I got quite breathless really quickly. Thankfully they didn't pass me, so I just walked back home. Not to blow my own trumpet but I'm actually so proud of this picture, it just looks so effortless and beautiful. After this I washed my face and brushed my teeth! 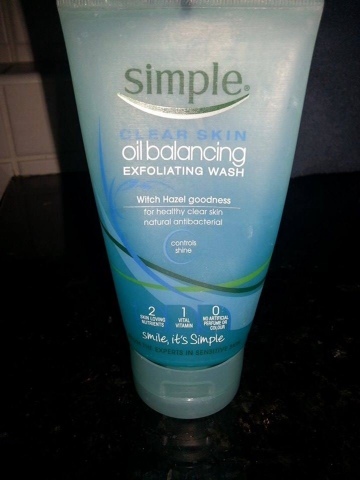 For my face I use Simple oil balancing exfoliating wash (yes I know, I have dry skin, I picked up the wrong one but it works anyways) I actually really like it including the fact that I have dry skin and I'm pretty sure this is for oily skin it is actually really nice, and manages to keep my skin mostly spot free! Overall actually I love the brand Simple. 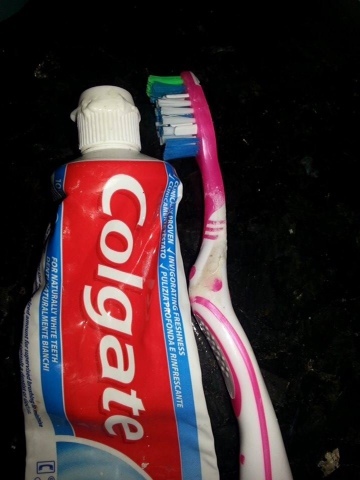 I have really sensitive teeth and I think overall Colgate toothpastes are really good for my teeth, they keep them clean, white and freash (which of course is what a toothpaste does). 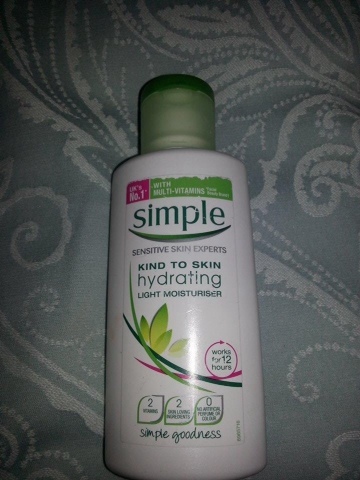 Just a simple kind to skin hydrating light moisturiser. 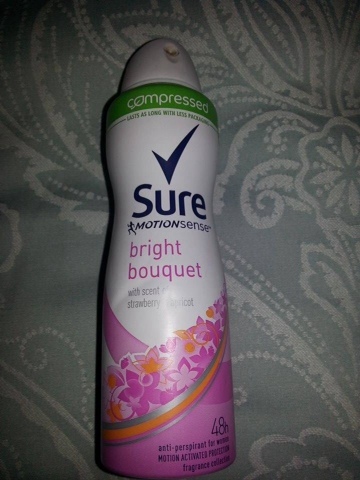 It is so good, it leaves my skin feeling so fresh and soft and my dry patches just disappear! Highly recommend it if you have dry skin! On the weekends (if I am just staying at home, and going no where else) I don't wear makeup because I like to give my skin a break and to be fresh faced. I don't wear face makeup to school anyways. All I wear is mascara (maybelline lash sensational). I took a selfie today! Please take no notice of my eyebrows I'm going to pluck them tomorrow! I found this scarf in my room, and I'm in love. Nomakeup/filter. I don't even know why I smile without my teeth because it doesn't suit me. Oh well ahaha. 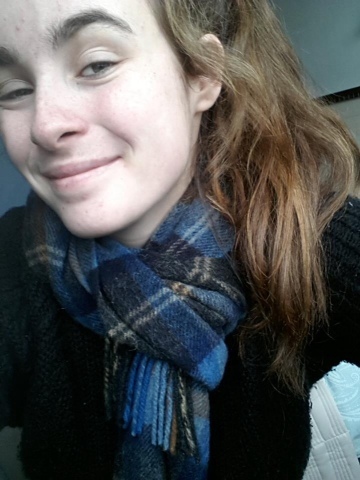 Also the scarf doesn't suit me like this but oh well. On the weekends I love putting on nice clothes like jumper and stuff on and then just wearing a track suit bottom just to look nice and feel comfortable lol. Of course that's just when I'm in the house if I'm going somewhere I'll put on jeans. I got my black jumper at new look (around this time last year actually) and it's one of my go to jumpers I seriously am addicted. 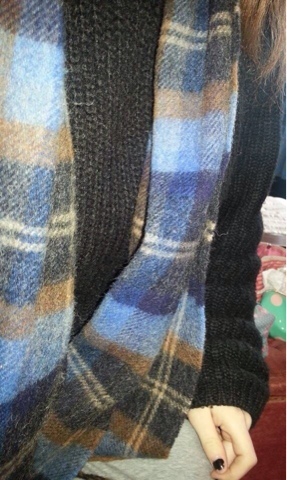 This scarf I found in my wardrobe, it says that it's Irish woven on it, so it's somewhere from Ireland. I really like the colors on it. You can actually see my grey track suit bottoms as well. I tried to hide them,but obhiously not well enough. If you've been reading my blog for a while now you may know how lazy I am when it comes to school work and homework. Well today I was actually really productive which is crazy. I really think the waking up at half eight really helped me. I was so motivated and happy and actually wanted to do my homework. I started around a quarter to one, and didn't finish until half six! Of course I took breaks in between that for dinner and bathroom breaks and stuff, but I really had so much homework. And a test to study for. I took a photo when I was doing my English homework. 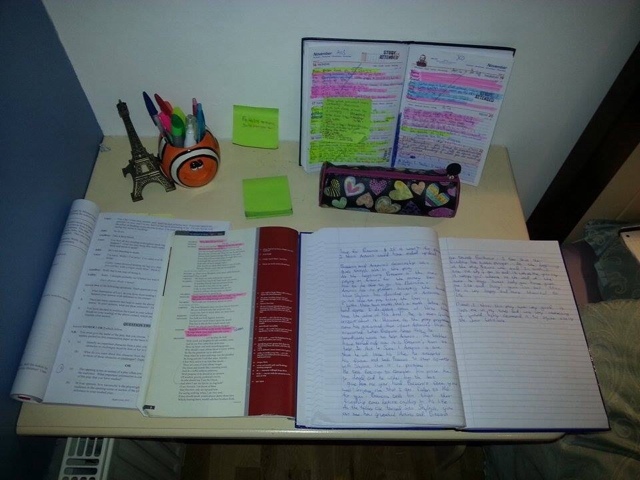 This is usually how I would set up my table for my homework/study. On the left I have my exam papers (all exam years have exam papers, for revision). Then I have my 'The merchant of Venice' play that has study notes in it (which is so helpful). I also really love this play, maybe because I love English, I don't know I just love it. Then of course I have my copy, where I just write my answers/notes. When my friend went to Paris like two months ago she bought me a little statue of the Eiffel Tower which was so kind, so I put it on my desk. Also it allows me to think of the people who have died in Paris. Beside this I have a fish cup which just has my pens and stuff. I got this in a aquarium in Wicklow a few years ago. Then I have my sticky notes for revision. I have my homework journal (filled with piles of homework of course) and my pencil case. 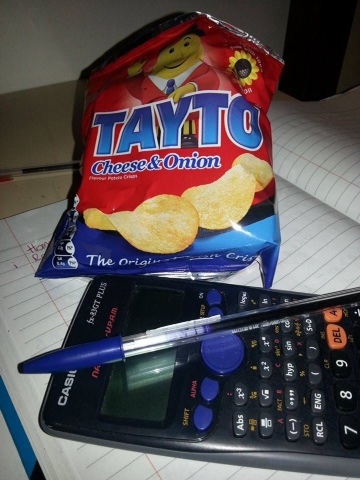 On my study/homework breaks I usually have a healthier snack, but today I had 'Taytos' because we had them in the house and I coudn't resist. If you're Irish and have had them you'll know what I mean, or actually if you've ever tasted them! They are sooo good! I took the break before I started my business homework. 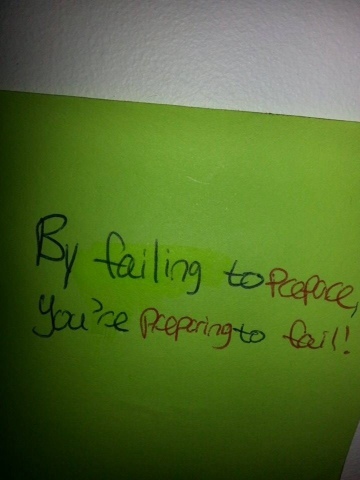 On my wall I just have a sticky note that says 'by failing to prepare, you're preparing to fail' (just Incase you can't read my writing, loads of people can't lol). This just helps me keep motivated to study and do the best that I can. This just keeps me motivated. I took a break from studying and had dinner. I had chips and spicy chicken. Once again of course I don't have this all the time. 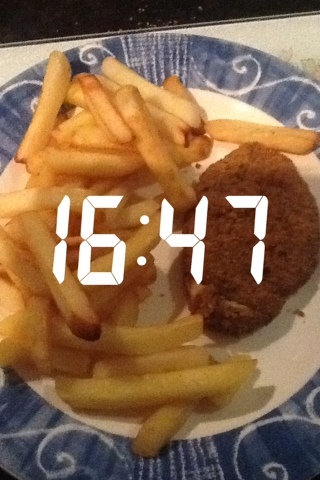 It's just today my twin was cooking and this is what she made. I didn't finish my homework until a quarter to seven (my English essay legit took 2 hours). After I was finished I was so happy to have everything done, of course I have a science test that I'll have to study for tomorrow. After I finish studying/homework I love to go on YouTube, Instagragm, Twitter, basically all of my social medias and just catch up on the world I guess. 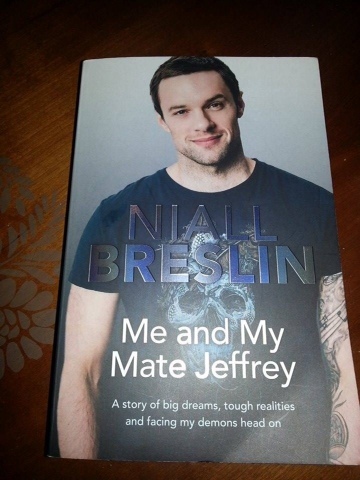 I also love to read, and the book I'm currently reading is 'Me and My Mate Jeffrey' - Niall Breslin (Bressie) - it's about dealing with anxiety and how he got through it! Definitely worth the read so far! 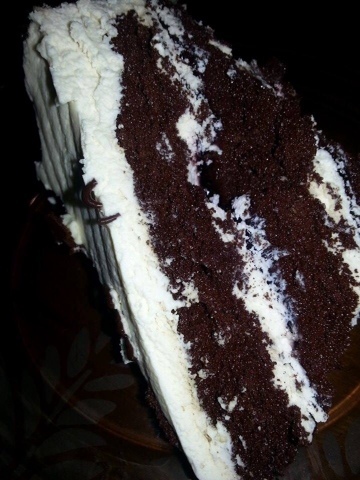 Usually after my dinner I will have something to eat, today we had cake in the fridge. (And again I don't always eat this) It was soo nice. It had chocolate and strawberries in it. Literally tastes as good as it looks. Usually before we got to bed Ciara (my twin) and I usually have a YouTube marathon and watch loads of our favourite YouTubers. 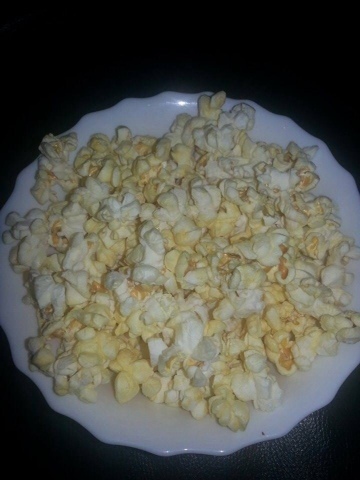 We decided to have some popcorn while we were watching the videos. Aw, thank you so much! Means a lot!